Add the elegance of nature to your home with this Axed Design Hide Pillow. Perfect for hunter and nature lovers. 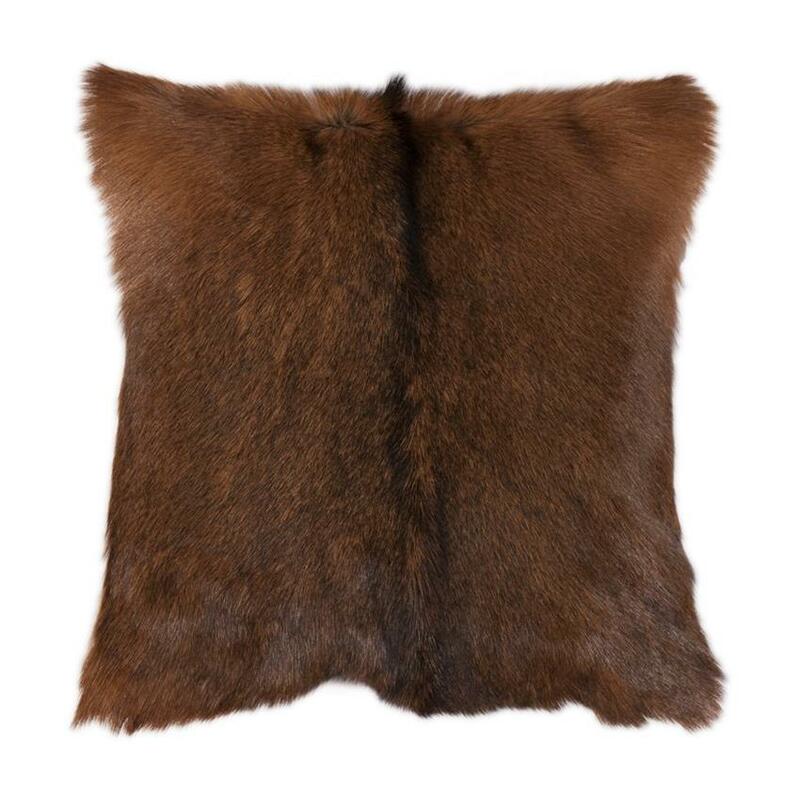 This pillow brings the look of deer hide into your home. 18"x18" size. Pillow face is crafted from 100% goat fur, pillow back is 100% polyester, filled with waterfowl feathers. Dry clean only. Imported.